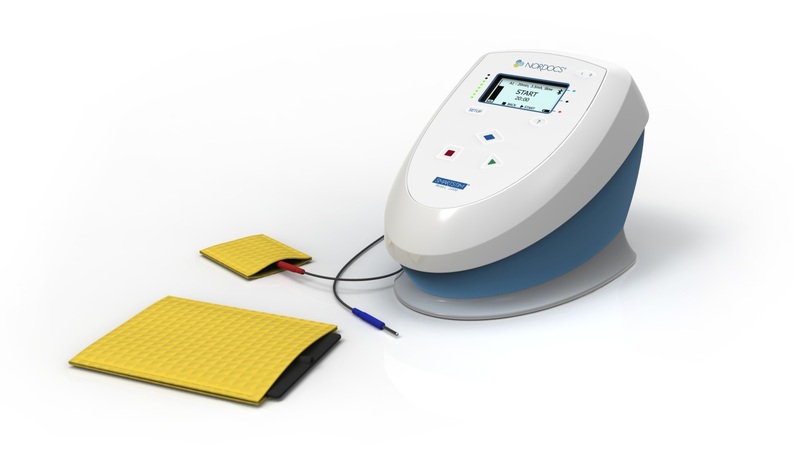 Ottawa, ON – December 6, 2013 – Nuraleve is proud to announce the product launch of their leading-edge neurotherapy device, the SmartStim Model 1000. Nuraleve has designed, manufactured, and tested this device in Ontario. The device is being marketed for the reduction of smoking cravings. Randomized, double-blind controlled clinical trials show a significant reduction in cravings. Additionally, Health Canada has now approved Nuraleve’s product for the treatment of chronic pain, and private insurance coverage for this treatment is in the works. Nuraleve’s made in Canada neurotherapy device is a safe, non-drug, non-invasive technology. It is emerging as one of the most promising approaches to cravings reduction because of its ease of delivery, safety, and positive effects. Nuraleve is now partnering with medical professionals to provide Nuraleve treatments to the public. Mitacs has provided significant support to the company through its Accelerate internship program, facilitating market entry for the company. A multidisciplinary team of graduate students from the departments of Electrical and Computer Engineering at the University of Ottawa contributed to aspects of product testing ranging from patient feedback on prototype design to analysis of patient data from one of the clinical trials. Nuraleve is a health services company that partners with clinicians to facilitate patient care. The company is seeking business opportunities with medical professionals. Mitacs is a national, private not-for-profit organization that develops the next generation of innovators with vital scientific and business skills through a suite of unique research and training programs, such as Mitacs Accelerate, Elevate, Globalink and Step. In partnership with companies, government and universities, Mitacs is supporting a new economy using Canada’s most valuable resource – its people. For more information on Mitacs, visit www.mitacs.ca.